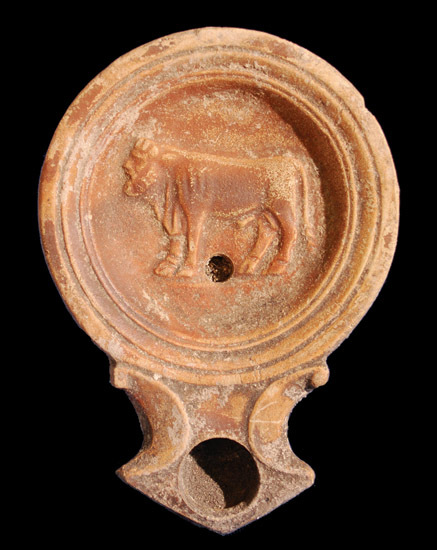 Early Roman lamp with sunken discus decorated with the figure of Achelous, depicted with the body of a bull and the head of a man. 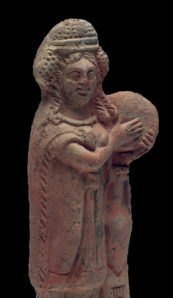 Achelous was patron deity of Greece’s largest river and considered chief among all river gods. According to legend, he was the offspring of Gaia and Oceanus. 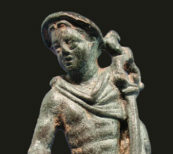 Achelous was an extremely important and respected deity in the Greek pantheon, often invoked for oaths and sacrifices. 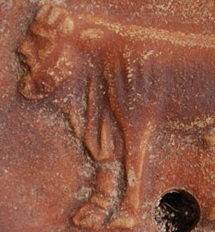 This is an extremely rare image on Roman lamps. Condition: Intact with nice impression, some typical wear to areas of glaze. Provenance: Formerly in a British private collection. 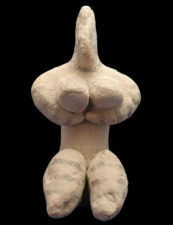 Additional Information: Email or call us with any questions on this object.